Apparently, Ken Livingstone is claiming that he'll be concentrating on the boroughs of outer London in his campaign to become Mayor in the forthcoming election. 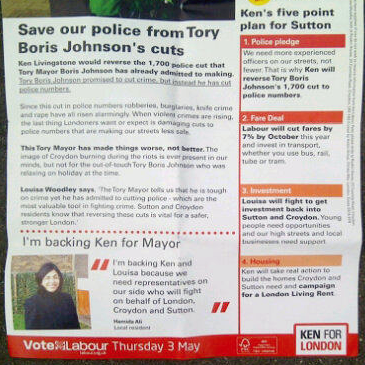 In a recent article in The Telegraph, however, Andrew Gilligan reveals that Ken's five point plan for Sutton contains, er, only four. Is that your idea of concentrating, Ken?